How Should New Home Owners Handle Water Damage in Faribault? SERVPRO helps owners, both new and experienced, handle water damage. Becoming a homeowner in Faribault is an important milestone. We plan for the changes we are going to make, how we to decorate and whom to invite over for a housewarming party. We also move in confident that the home inspection already pointed out the small flaws in the home and we do not have any more worries. However, suddenly, there is a funny smell every time we open a cabinet door, and the cabinet itself is wet to the touch. When there is water damage to your home in Faribault, call SERVPRO to receive the best professional advice available. Our team is IICRC-certified and can help you assess the damage and work with you on the proper steps to resolve the issue with the least amount of disruption to your life or pocketbook. As tempting as it is to tackle any water leak as a do-it-yourself project, it is better to leave it to a trained technician that has a broader view of the consequences such an issue could have. Upon arriving at your home, our SERVPRO crew looks to the source of the water and stops it from flowing. Once it is under control, we use moisture meters and other tools to determine just how saturated the structure is and if structural compromising occurred in any way. With this information, we proceed to extract the excess moisture and to dry the area thoroughly. Concurrently, we check for the existence of mold which may have spread as a response to the presence of standing water. If all goes well, we only focus on extracting, drying and disinfecting the affected area and reassuring you that there is no further threat. In more complicated cases we may need to bring in specialized filtration devices to clean the air from particles and organisms. In either scenario, our SERVPRO team is there with you until you assure resolution of the issue and your new home is in great shape. SEREVPRO of Cannon Valley is a valuable resource for new homeowners. Our training and expertise are at your disposal for jobs big and small. All you need to do is call us at (507) 334-2565 and let us do the work so you can enjoy your new home. Read about the Faribault Ice Arena here. Don't let mold damage take over your business. Act fast with SERVPRO to aid in your mold removal process. Running a grocery store for the residents of the Northfield area comes with a heightened responsibility to provide fresh products at reasonable prices. Whenever damaging situations develop, such as prolonged moisture outside of cold storage areas that allow for mold growth to occur, you need fast and effective service that can remove this threat immediately. Mold does not go away on its own, and it can present health effects to both exposed staff and customers of your store, so there is no time to waste to get the area restored properly. When mold damages threaten your Northfield store, you need a team with the experience and expertise to assess the situation and utilize the least abrasive and least damaging recovery solutions. Keeping original materials intact and in place in your building is a priority of our SERVPRO team when we begin remediation work. We understand that getting your doors open quickly is critical to your business, so we limit or negate the need for tear out and reconstruction whenever it is feasible to do so. Once we have assessed the spread of the damage throughout the affected area, we can set up physical containment with plastic sheeting and machines like our hydroxyl generators and air scrubbers to capture active mold spores, dust, and debris in the environment. Depending on the surfaces affected, we have different methods of removing the present colony. Some surfaces, even those currently unaffected by any mold growth, only require the use of an antimicrobial solution that can penetrate materials and make them uninhabitable to mold colonies. Other materials require sanding to reach the full hyphae of the organism and remove it completely. For further penetration and effectiveness on porous materials, soda blasting is a powerful and effective approach that can still allow the host material to get restored and remain installed. Removing mold from your grocery store must happen immediately to protect your stock, your staff, and your customers. Let our SERVPRO of Cannon Valley make this mold damage “Like it never even happened.” Give us a call today at (507) 334-2565. Click here for more about Northfield. Let our experts handle your restoration, we are available 24/7 and have experience and proper tools to handle any job big or small.Call us right away. The time it takes your property to flood may be short, but the damage left is likely to take longer to address. As the floodwaters spread throughout the property, they soil materials and also compromise them structurally as the water is absorbed. Fast flowing water can also demolish some parts of the structure. We are IICRC certified, so we use different approaches to tackle all these problems restoring your property to preloss state within a reasonable period. Some aspects of flood damage in Red Wing such as cleaning soiled areas and removing debris require significant resources for faster turnaround. Our SERVPRO technicians rely on advanced equipment such as pressure washers and powered multi-surface scrubbers to clean mud, sewage residues and other soils from surfaces. Working as a team also allows us to tackle different areas simultaneously ensuring we complete the job fast. 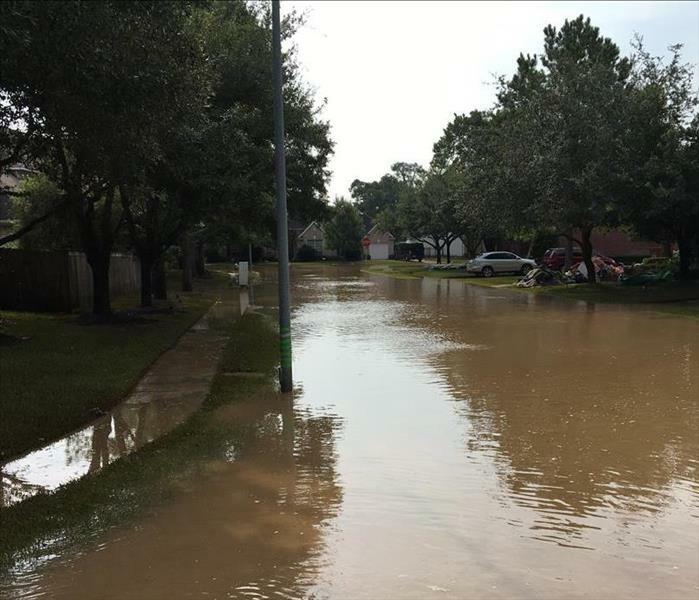 Apart from visible soils, floodwaters also contaminate affected properties with microbes from biohazards such as raw sewage and harmful chemicals such as pesticides that the floodwaters collect as they flow over open fields before reaching your property. Simple cleaning does not remove these contaminants effectively. Our SERVPRO technicians rely on their training to decontaminate property. For example, we spray EPA-registered disinfectants into the floodwater before starting extraction. We also use various OSHA approved professional cleaning agents to help sanitize affected areas. We remove porous materials such as carpets affected by the water because it is not possible to eliminate contamination from such materials through cleaning alone. The damage caused by moisture can be as dangerous as the contamination. For example, failure to dry wet materials can lead to mold development in periods as short as 48 hours. Water also causes materials such as wood to rot or warp over time. Our SERVPRO technicians use various moisture detection tools like moisture sensors and meters to check moisture levels in different materials so that we can decide the level of drying required. Once we have the information, we use advanced equipment such as air movers and dehumidifiers to dry all areas. In case of flood-related problems in Faribault, Northfield and Kasson areas, call SERVPRO of Cannon Valley at (507) 334-2565 to help you. We’re Faster To Any Size Disaster. Plan your next visit to Red Wing Water Park click here for details. Our SERVPRO crew members have the proper training and technology to remove soot from your home. It is a common belief that much of the cleaning and restoration work that your Red Wing home needs after a disaster is something that homeowners can reasonably handle on their own. However, without the right training and expertise to address specific concerns present after incidents like fires, you can find your efforts causing greater harm to your home than help. With the fast response, we can provide our customers immediately following disasters and emergencies that threaten their home; we can offer effective mitigation, cleaning, and restoration services that your home needs to return to preloss condition. Soot can be one of the most challenging fire damage effects in your Red Wing property for even our trained and IICRC restoration technicians. With soot particulates and residue coming to rest on a variety of surfaces and materials, various techniques are necessary to remove them without causing further damage and staining to the area that could otherwise get preserved. Our SERVPRO team arrives to fire damage incidents with the tools and equipment necessary to clean up soot effects throughout your property. 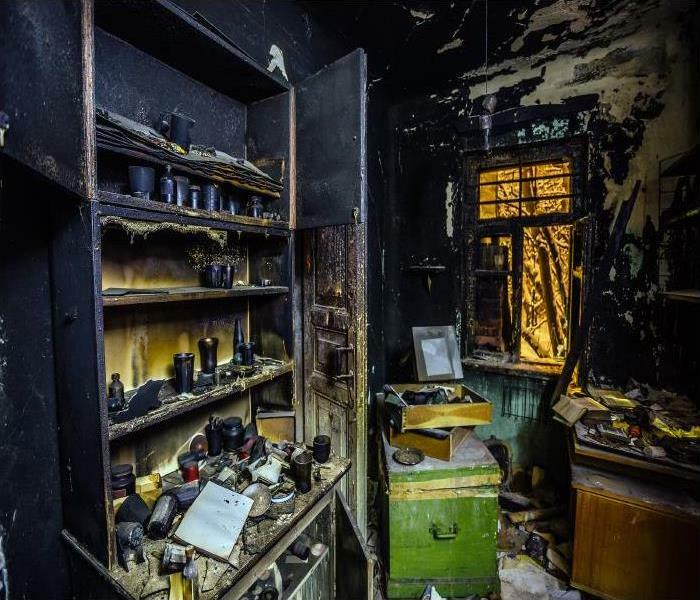 Soot is a very damaging presence that can spread quickly throughout your property during and following a fire. Cleaning up this residue begins with high powered vacuums held above the affected surfaces to pull loose particulates, which can make up the bulk of this damage, from the damaged area. Carpets that do not get this preliminary removal of soot from the top of the fibers in the flooring can become susceptible to staining and irreparable aesthetic damage. Our SERVPRO technicians have premier carpet cleaning solutions and can work to remove the heaviest concentrations of soot residue before these efforts begin. There are many concerns throughout your home after a fire, but trying to take care of them on your own can cause more damage than you might expect. You can always depend on the fast response and expertise of our SERVPRO of Cannon Valley restoration technicians. Give us a call anytime disaster strikes at (507) 334-2565. For more on Red Wing, click here. Is Water Damaging the Brick Veneer on Your Newly Renovated Northfield Home? Water can damage the brick veneer of homes. Brick veneer and exposed brick in Northfield home renovations is a popular trend, and also one that comes with little upkeep on the part of the homeowner. However, water emergencies that expose this brick to substantial water flow or persistent leaks can threaten the structural integrity of its bond, exposing your home to not only cracks and openings in the brickwork, but also mold or mildew growth. Understanding how professional restoration techniques can work to preserve this aesthetic element to your home and keep your property safe from secondary effects can showcase the benefits of skilled technicians. Water cleanup can mean much more for your Northfield home than mopping and drying up potential spills. 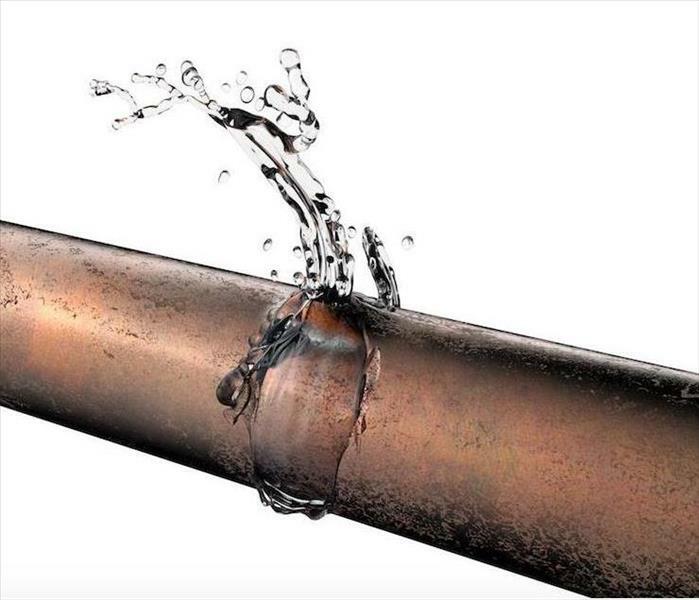 With steady leaks from kitchen fixtures or localized emergencies like pipe breaks, water cleanup can also mean an immediate response to a structural threat with the right equipment. Our SERVPRO Franchise professionals have the training and expertise to dry and clean water-damaged brick to prevent extensive reconstruction and relaying of the material. Bricks, as a material, can withstand direct water exposure for an extended period due to their dense composition. Conversely, mortar is less capable of withstanding moisture penetration for extended periods, and even less so in exposed brick walls of recent remodeling, as masons do not focus on ensuring the backside of brick walls have finished joints to keep them sealed and protected from moisture exposure. This striking finish happens on the outside face, or exterior, of the construction. Once our SERVPRO Franchise professionals arrive at your home, we get to work on identifying the moisture present in this material and focus on setting up our drying equipment as quickly as possible. With our air movers and dehumidifiers, much of the present moisture can get removed efficiently. We can also work to spray these affected surfaces with an antimicrobial solution to prevent the possibility of mold growth while the team works to continue drying out the damaged portions of masonry. While exposed brick or veneer construction inside of homes has become a popular trend, these surfaces are not impenetrable to water damages. Let our SERVPRO of Cannon Valley water restoration technicians help you to remove the moisture and clean up the area. Give us a call anytime at (507) 334-2565. Read more about Northfield here. Water vapor condenses on surfaces throughout your factory, and mold spores also find their way into already existing air currents. The quality of your products dramatically depends on the condition and quality of the raw materials you use in your Red Wing factory's production lines. Goods that arrive damaged because of lapses in circumstances that let your shipment get rained or snowed on during transport might not ever make it to the assembly line. However, keeping these raw materials, even if never used, might cause problems for you later, including the development of mold damage inside your Red Wings facility. Because moisture always travels to drier conditions, any moisture that ruined your raw materials during shipment steadily evaporates into the air. Water vapor condenses on surfaces throughout your factory, and mold spores also find their way into already existing air currents. These spores waste no time in activating and starting their growth cycles. Not only do the raw materials start to get moldy, but various locations in your factory also seem to be suffering from mold infestation, too. SERVPRO wants to do everything possible to make your factory's interior “Like it never even happened.” While there are several steps in achieving this for you, the first is to reverse the problem. We first check your entire facility with our thermal imaging devices. These small machines visibly reveal where water vapor has condensed, allowing us to concentrate our efforts in these areas and mitigate mold damage before it starts or shortly soon after. We use powerful desiccant machines because they are significantly effective at stripping the air of excess water vapor. On metal or vinyl surfaces, a solid wipe-down with an antimicrobial cleanser often kills mold growing there, but the spores can set up new colonies. Other areas, such as office spaces, locker rooms, and lobbies often contain softer materials in their furnishings. These more porous items can also become moldy. Lowering the amount of water vapor helps but we need to do more to resolve the problem before mold damage can cause permanent problems. We use specialized techniques learned during IICRC training that eliminates these spores from upholstery, office dividers, and window dressings. While the initial incident may have been contained inside your factory, microscopic spores can spread unhindered in the air and on either people's clothing or inanimate objects. SERVPRO of Cannon Valley works in Kasson, Zumbrota, and Warsaw, helping other businesses maintain safe working conditions for their employees. Mold damage affects not only factories but can also cause health effects in people. Prevent both by calling us at (507) 334-2565 as soon as you detect the presence of mold. 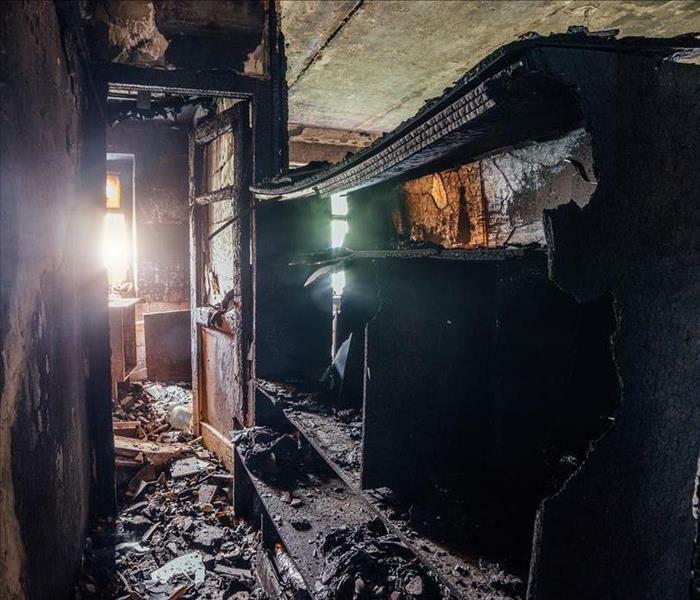 4/9/2019 - Our Fire Damage Experts Can Restore Your Faribault Home! 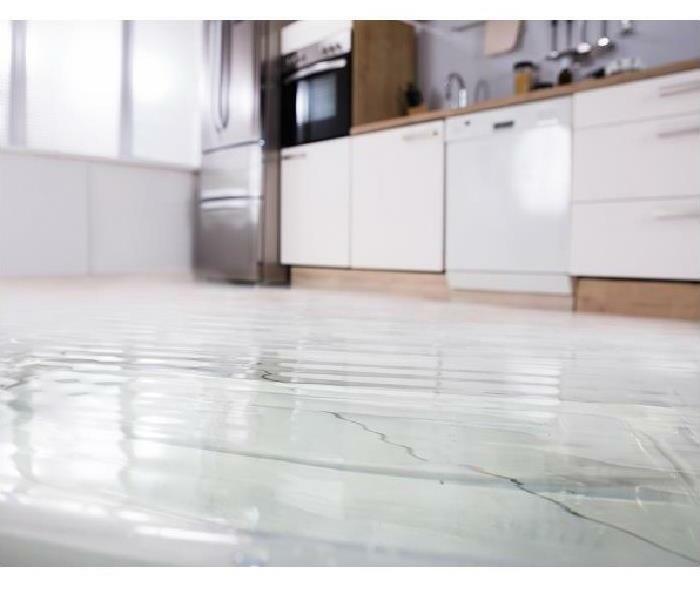 4/4/2019 - How Should New Home Owners Handle Water Damage in Faribault? 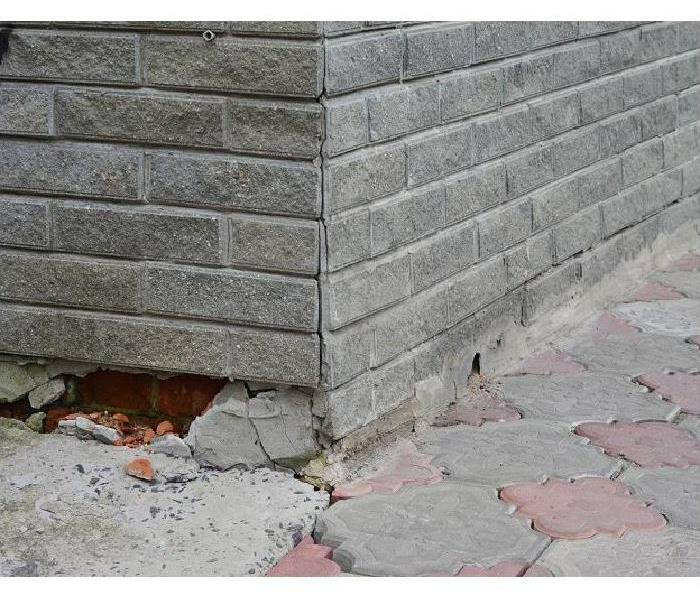 2/13/2019 - Is Water Damaging the Brick Veneer on Your Newly Renovated Northfield Home?